Knowing their vehicles are destined to be used with a certain degree of abuse, many overladers tend to purchase pre-owned trucks. It also represents a better value, but buying used comes with an undeniable level of risk. For that reason some prefer to start with a clean slate and buy new. The advantage, aside from knowing the complete history of the vehicle, is the added security of a full warranty, and let us not forget the alluring perfume of new car smell. The discussion about new trucks recently got us thinking about which vehicles we’d buy from the selection of 2015 models currently parked on dealer lots across North America. To make the selection more interesting, we culled out some of the exotics less apt to be used for overland travels. This is not to say the Mercedes G-Wagon isn’t a wonderful machine, but at an average price of $127,000, it isn’t likely to be found bumbling around your local backwood. 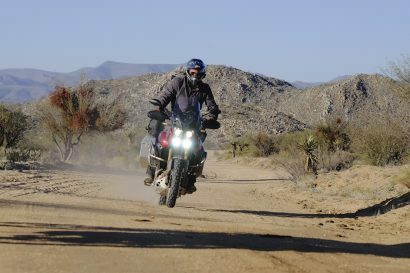 Below are five vehicles we feel can be purchased, mildly modified if at all, and used for almost all of the popular overland routes in North America. These vehicles, presented in no particular order, can also be used as daily drivers, something that has become increasingly popular as vehicle prices continue to climb. It was just a couple of years ago when we bestowed the 4Runner Trail Edition with our SUV of the year award, and looking back on that decision, feel even more convinced it was a smart choice. For 2015 that platform seems to have improved even more, making it one of our top five picks for this year. 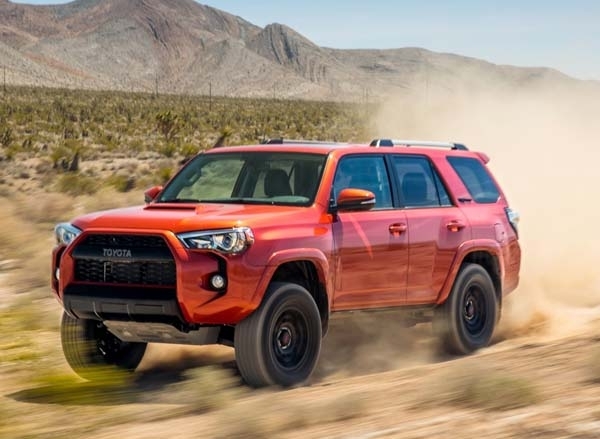 Fitted with a 4.0-liter 6-cylinder engine, an electronic locking rear differential and Toyota’s Multi-Terrain Select Control with Crawl Control, the TRD Pro is a formidable off-roading SUV. An aluminum front skid plate is standard as are 17-inch wheels with Nitto Terra Grappler AT tires. If it was designed to compete against the Land Rover LR4, it may have won the contest; at least on some metrics. The appeal of the 4Runner for many buyers is the harmonious blend of on and off-road performance. As a daily driver it is quiet and comfortable, the highway miles ticking by in complete car-like comfort. Cargo capacity is better than average with a generous 6300 pound GVWR. 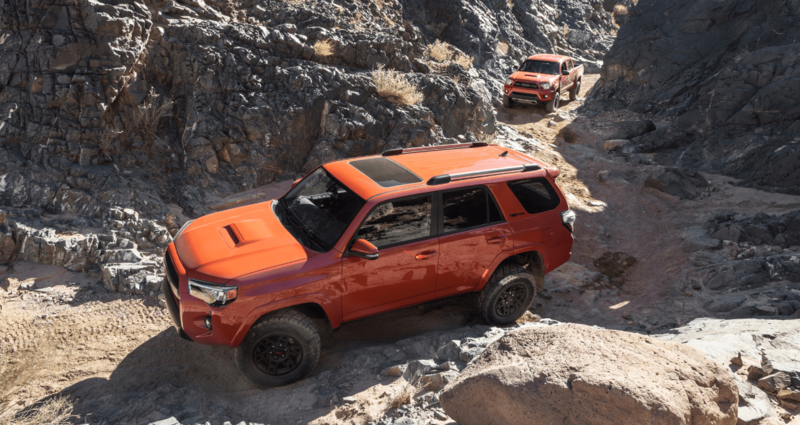 Driven as-is, the 4Runner with the top tier off-road trim provides more than enough capability for most overlanders. It’s a great vehicle that lives up to its long legacy. This list would be incomplete without the inclusion of Jeep’s pinnacle vehicle, the cornerstone of the entire Jeep brand. 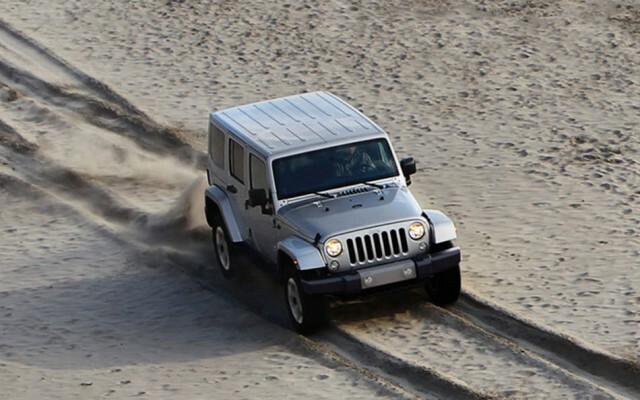 The Wrangler is an icon of off-roading and to many, a platform without peer. The 3.6-liter 6-cylinder 24-valve VTT engine when paired to the 6-speed manual provides a visceral driving experience that is increasingly rare these days. 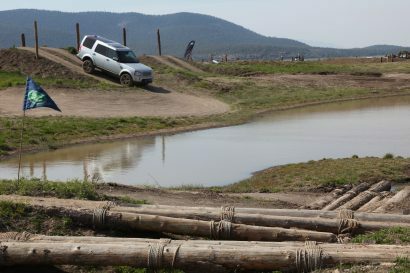 The Rock-Trac 4WD system with 4:1 low gearing, Dana 44 front axles and electronic sway bar disconnects make this the best 4×4 in its class––by far, not to steal a tagline from Land Rover. 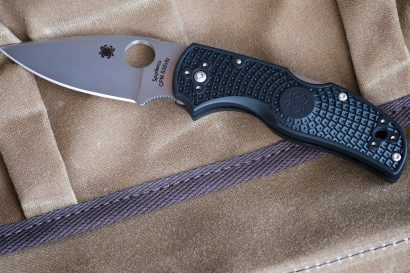 Although the Wrangler is commonly used as a daily driver, and does admirably on the blacktop, it is purpose built for off pavement use. Once in the backcountry, its colors really shine. The Achilles heel to the Unlimited Rubicon however, is the abysmal load carrying capacity. Should your adventures fill all four seats, each occupant will have to pack lightly to stay under the 1,000 pound payload allowance. Not just light, but really light. Despite Jeep’s efforts to soften the interior space and fit it with more creature comforts and features, it is still an austere space befitting the “Jeep thing” vibe. That is not intended to be a pejorative as many owners are drawn to that spartan design as a hallmark of the Jeep ethos. If we put an emphasis on off-road performance, which we always do, it would be hard not to give a nod to one of the most proven pickups in the American market, the venerable Tacoma. 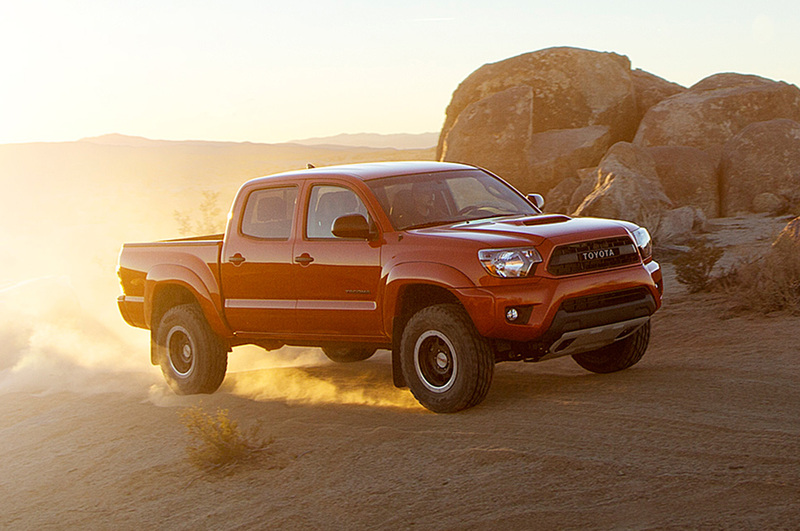 In the TRD Pro trim level, the Tacoma rides on 16-inch rims with BFG AT tires and TRD Bilstein high-performance shocks. The 4.0-liter 6-cylinder engine can be paired to a 6-speed manual or a 5-speed automatic. The 4WDemand part-time 4WD system has an electronically controlled transfer case and automatic limited slip differential. The Active Traction Control system keeps the wheels planted for optimal off-road performance. Simply put, this is an off-road inspired pickup with all the greatness that it implies. Load it up with gear and go. For those looking for a platform on which to build a custom camper setup, or for those simply wanting maximum utility from their vehicle, the Tacoma is hard to beat. The lower weight of the Tacoma helps it achieve better than average mpg numbers with the highway performance pushing into the mid 20s. The Tacoma is oft discounted as being boring and uninspired, but few can deny how effective it is. It’s no Defender 130, but it’ll get you there and most importantly––back again. According to a statement released by Chrysler just this week, sales of the new EcoDiesel Ram 1500 are continuing to surpass expectations with the platform now representing 20 percent of total Ram sales. 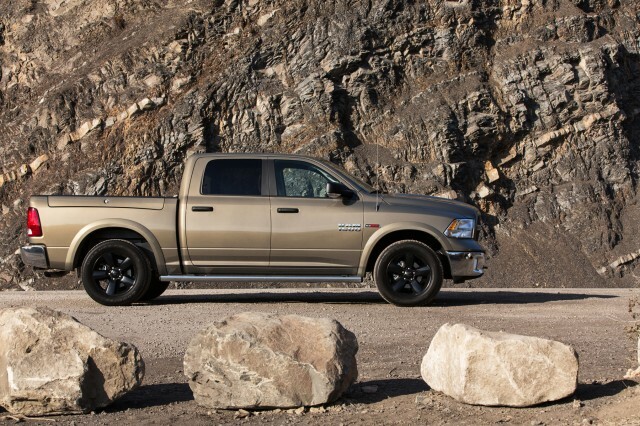 The driving force behind those numbers is the diesel Ram’s 29 mpg fuel efficiency rating. Combined with the 26-gallon fuel tank, that lean burn gives the Ram an impressive 550 to 600 mile average range. Those digits have been confirmed by real-world reports from braggadocios owners. Although not as capable off-road as the JK, 4Runner, or the Land Rover LR4 below, the Ram 1500 makes for an excellent platform for a slide-in camper or shell. There is no doubt the truck and camper pairing lacks some of the cache of a Sportsmobile or other self-contained camping setup, but it is considerably less expensive. For those not sold on the benefits of the diesel engine, the total bill can be reduced by over $4,000 by selecting a gas burning power plant. With the popularity of full size pickups on the rise, we felt the Ram 1500 deserved a place in this short list. The buzz around the Overland International table has recently included talk of more pickups entering our fleet, and the Ram 1500 just might be the truck we fold into the mix. No list of overland vehicles would be complete without the green oval being represented. Despite declarations by critics that Tata ownership would destroy the brand, the Land Rover star is rising. With record sales perpetuated by their more gentrified offerings like the new Evoque, their already up market brand is getting even more posh. This is not to say their off-road predilections have been diluted or compromised. For nearly two years, the Overland Journal LR4 proved time and again that it is an admirable performer beyond pavement’s end. Although some modifications were ideally required to maximize the potential of the Overland Journal LR4, those alterations were modest. Swapping out the tires on our LR4 was a must, and while we certainly went well beyond that particular modification, little else was needed to allow the vehicle to get us where we needed to go. Every vehicle in this list of five has their own alluring attributes, and the LR4 is without question the most well appointed and luxurious of the bunch. More than once our LR4 conquered many hard trails, the driver and passengers of the wrapped in heated leather with all the interior refinements of a fine saloon or estate car. We would be remiss not to acknowledge the x-factor of Rover ownership. Land Rover owners are loyalists and for years bought their vehicles almost knowingly against better judgment. 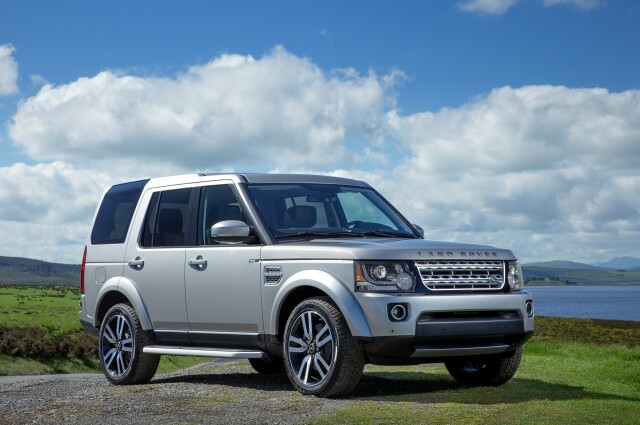 With reliability and resale improving with every year, owning a Land Rover no longer has to be cause for nagging regret. In compiling this list, we knowingly omitted some long standing favorites, and for good reason. The Nissan Xterra, not a bad option by any stretch, is long in the tooth and sorely in need of updating. The Toyota Land Cruiser, a crown jewel of overlanding, is the worst selling SUV in America, primarily due to the $80,000 asking price. All of the vehicles above have their individual pros and cons, but fit the needs of most overlanders with minimal modification. From the luxury of the LR4 to the utility of the Ram, 2015 has provided solid options, even a diesel powered solution. Make your selection, hand the man your cash, and drive into the sunset. Author’s Notes: This is a tough one for me. If given a blank check to buy a new rig for the year, I might have to grab the keys to the Ram 1500. Even with gas prices projected to be low for the coming months, fuel costs will continue to be a decided factor for my longer travels. The Ram 1500 Rebel scheduled to arrive this summer looks positively awesome, and I am usually not a pickup kind of guy. While I’m amongst the many quick to lament the cars and trucks we can’t get in the States, we can’t complain too much. I’d be more than happy with any of the five vehicles above.